UC Riverside's Office of Sustainability has been revamped this year, with Fortino Morales as UCR's newest Sustainability officer, Professor Matthew Barth as the Faculty Director of Sustainability, and Professor Brian Siana as the Associate Faculty Director of Sustainability. Everyone wants to save the world, we're taking steps towards a better tomorrow by being at the forefront of sustainable policy. We are focused on how we can make our operations better, make ourselves more academically aware in our lecture halls, and making our research even better. We are refining policies that enhance our mission as a leading international research and educational institution. In part because of our commitment to the Inland Empire community and California as a whole. without compromising the ability of future generations to meet their own needs." 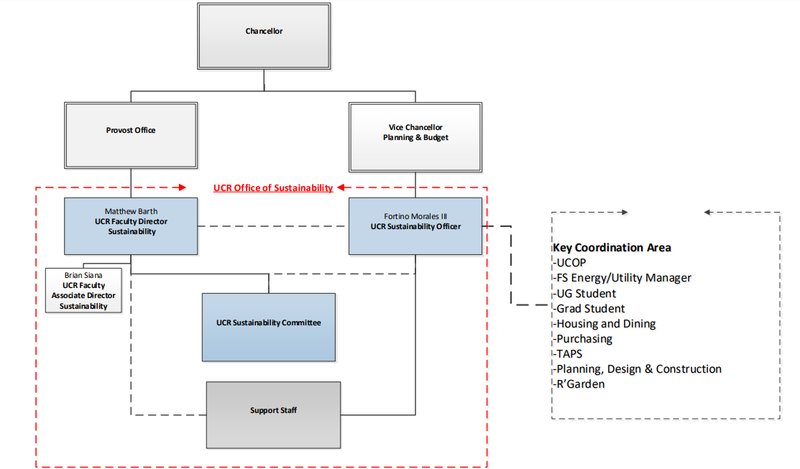 Got suggestions on how we can improve Sustainability at UCR? Contact Fortino Morales or email us at sustainability@ucr.edu!